Healthy and Fun Snacks for Kids! Parents want their kids to eat healthy, but au pairs often have a difficult time getting their kids to eat healthy foods. Here are some fun ideas for easy snacks that parents or au pairs can make with their kids. Fresh Made NYC has a great recipe for Amazing Rainbow Hummus. The colors are so amazing and you can dip pitas bread, pita chips, veggies and crackers. 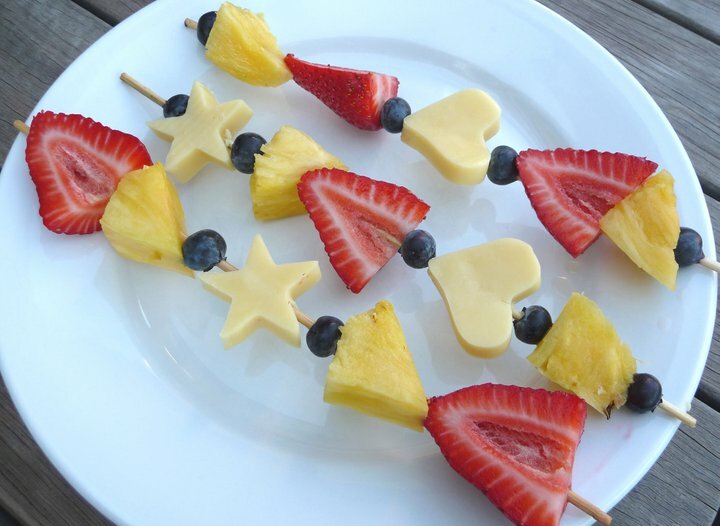 The Nourishing Home has these fun Fruit and Cheese Kabobs. What a great way to get kids to try different cheese by cutting them into fun shapes. You could also cut shapes out of melons and use different berries to bring a lot of color into the snack. What kid wouldn’t love to wake up to an UFO on their plate? Spoonful.com has this great, protein-rich recipe for a bagel and hard-boiled egg UFO. Aliens not included. 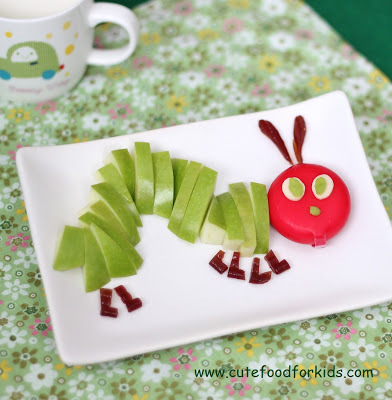 How cute is this Very Hungry Caterpillar snack from Cute Food for Kids. You could read the book together and then pretend to be the Very Hungry Caterpillar while you much this healthy snack. What are some fun and healthy snacks you like to make with kids?